Are you thinking about Christmas yet? If you thought it was too early for that, think again. For some bikers, Christmas plans keep happening all year around. 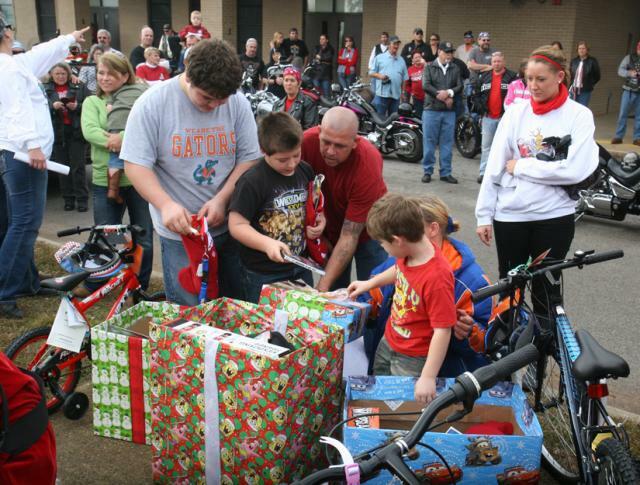 LA Bikers Toyz for Kidz auction is set for Thursday, October 22, 6 p.m., at the PWC building, 106 East Avenue. A sneak preview was hosted few days ago, on Thursday, September 24. Pee Wee and Ann Powel have hosted the lunch preview and everyone who came could take a look at some of the best handcrafted furniture that includes chairs, swings, gazebos, grill tables, hutches and more. On the evening of the auction, hot dogs and barbecue sandwiches will be served. There will also be a $1 raffle drawing for various items. Remember to mark your calendar because this event will let you meet up with fellow bikers, enjoy sandwiches and hot dogs, buy yourself a wonderful handcrafted piece of furniture, and the most important of all – help children have a good Christmas. For more information, visit www.labikerstoyzforkidz.com or Facebook LaBikers.